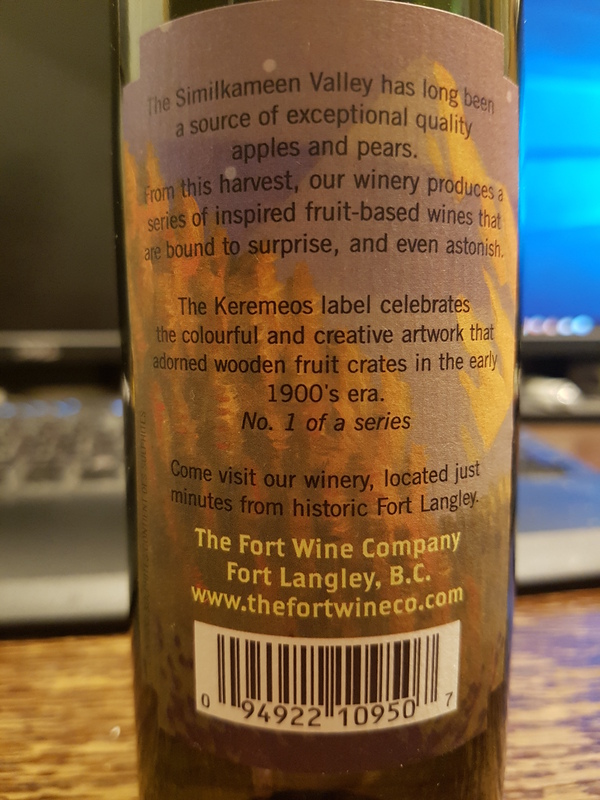 Keremeos Pear Apple Wine – The Fort Wine Co. (Fort Langley, BC, Canada) | Justintoxicated. Visual: (cellared for 9 years). Synthetic cork. Pours clear pale yellow with a slight orange hue, clear as water. 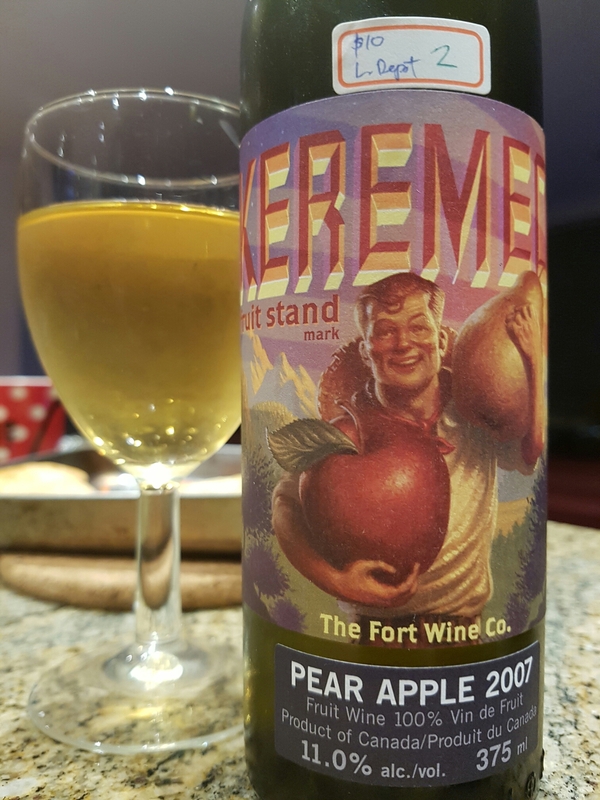 Summary: Apple and pear are a natural combo and it’s done well here – very interesting and bold tanginess backup up by a rounded fruitness. Slightly thin-short but solid.